Join me on my Photo walk to the foothills of the Parthenon! 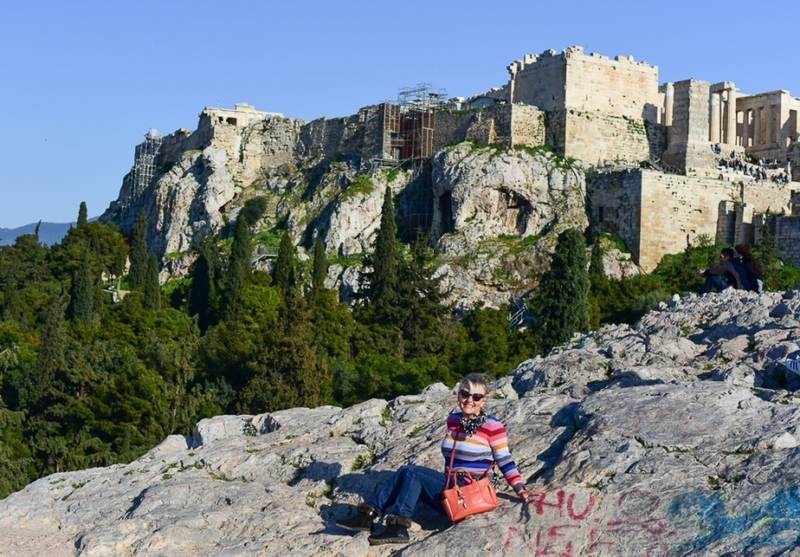 If you are wondering what to expect on a photo tour with me around the foothills of the Acropolis, I will give you a little idea of what you will see. Athens is very much a city for ALL seasons and each season offers a very different photo tour opportunity. This tour we did in March so the blossom was out and it was the perfect day to wonder around. During the summer months this tour is very hot and so usually starts around 5 or 6pm. It takes approximately 2 hours and with lots of stops along the route to take some great shots. 1 – Our meeting place is Thissio metro station, where we take our first shot of the Parthenon in the distance. 2 – We will then wonder along the main street making our way up to the Parthenon. There are lots of market stalls here on a daily basis and the street is lined with cafes and eateries. 3 – With lots of vacation photo spots along the way and there is also the national gardens in the area to take some great shots too. 4 – We arrive at the Greek name “Areios Pagos” But translated to English Ares Rock but also known by the Romans as Mars Hill. Saint Paul is said to have delivered his sermon from this rock !”Now what you worship as something unknown I am going to proclaim to you. The God who made the world and everything in it is the Lord of heaven and earth and does not live in temples built by hands. This you can see inscribed on a tablet in the rock too. This is a very popular place to take photos and on a good clear day it offers brilliant views across Athens and to the Lycabettus Hill. 5 – NOW we start to make our way down through the streets of Plaka. 6 – The tiny streets and doorways make the perfect photo opportunity for some great vacation photographs. 8- Finally arriving at the the gate of Athena Archegetis & the Roman Agora before we end our tour in Monastiraki square where there are ample cafes and bars to sit and look through some of the great photos we have taken. I hope you have enjoyed our tour along the streets of this ancient city and you will soon book a photo tour of your own. For further details to contact me direct.